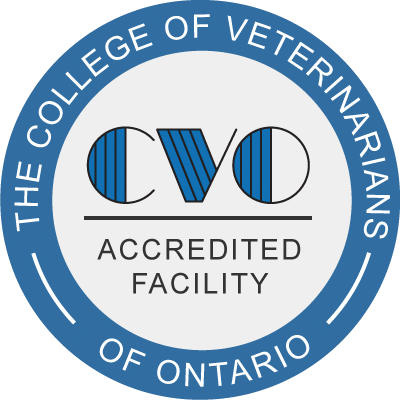 Central Toronto Veterinary Referral Clinic (CTVRC) has many attributes which sets itself apart from other referral centers. Our doctors, certified veterinary technicians and assistants are skilled, experienced, and, compassionate. Our goal is to create the best referral process possible and it is through exceptional service and communication that this goal can be obtained. While your pet is under our care, you and your referring veterinarian will be kept up to date on your pet’s status, diagnosis, and treatment. The Central Toronto Referral Clinic has advanced technology to offer exceptional care to our patients. Our clinic is equipped with a Computed Tomography (CT) scanner, which is a high resolutions X-ray tool that produces 3D images of patients. CT is a non-invasive method that allows the specialist to produce rapid, precise, and clear dimensional images of organs, bones, and tissue. Patients must be referred to The Central Toronto Veterinary Referral Clinic by their family veterinarian. A referral form can be downloaded from our website and filled out by your family veterinarian that details your pet’s problem and identifies the appropriate specialty department to see your pet. To Schedule Your Appointment For Your Initial Visit, Call The Central Toronto Veterinary Referral Clinic at 416-784-4444. Appointments may be booked between the hours of 9am and 5pm Monday through Friday. We recommend that you download and complete the Client Information Form. Please bring it to your appointment. Be sure to bring all relevant information including the Client Information Form, the Referral Form filled out by your veterinarian, x-rays, blood test results, and any medicine or specific diet that your pet is taking. In cases of surgery and major procedures, and as directed, please do not feed your pet for 12 hours prior to your appointment (except for very young animals, animals with diabetes, or when directed otherwise). However, water may be given up until the morning of the procedure. Our team will then put together an assessment of your pet’s treatment options, plans, and costs. The doctor will discuss this assessment with you, and together you will agree to a treatment plan for your pet. Payment is required at the time services are provided. Cash, debit card, MasterCard, and Visa are accepted forms of payment. A deposit in the amount of the minimum treatment plan will be required if your pet is staying at the hospital for evaluation or treatment. Megaesophagus refers to a syndrome in which the esophagus does not function correctly.